What we do. We are involved in church-planting, building homes, well-drilling, handing out food and school supplies, dramas, testimonies and building relationships. We work with a number of native speaking pastors and support the work they are doing in their villages. Another big part of our ministry is Mission Trips. We are always happy to share with people what God is doing in Oaxaca and allow them to take part in ministry. Oaxaca is unique. 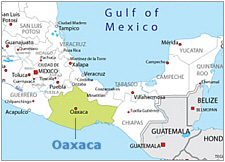 Oaxaca has the most unreached people in the Western Hemisphere. It is filled with isolated people groups who have their own dialect and often have never heard the gospel. Many times there are 1 or 2 Christians out of thousands of people in a village. Our goal is to minister to the material needs as a means of opening doors to minister to their spiritual needs. In everything we do we are looking for the opportunity to demonstrate Christ and lead them to Him. Peter and Teresa foster the growth of the indigenous church in Mexico. They are also recent “empty nesters”, having raised two children, Charlsie and Pete, on the mission field. 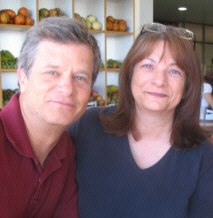 Peter and Teresa Cawthon have 18 years experience as missionaries to Mexico. For the last 10 they have served in the state of Oaxaca. This state has a tighter cluster of people groups than anywhere else in the Americas. Many of the 150 people groups are unreached with the Gospel. They reached out to five villages that did not have a church and they are now helping establish a church in the last one. God has given them much fruit for their labors! The Lord called Peter and Teresa to show the people of Oaxaca what He is really like, not what their traditional religion claims. Their prime strategy is to train indigenous pastors and leaders. Most pastors are farmers, poor and busy working. The Cawthons must go to them to teach them. 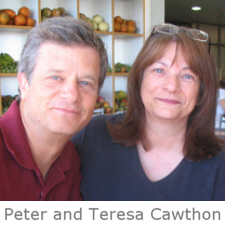 Peter and Teresa also host medical/dental and construction teams to serve the people of remote indigenous regions. This opens doors to areas that are otherwise closed to presenting the Gospel. In 1992 Teresa had a vision of a library for Christians, with mobile capabilities for the villages. Eleven years after the vision, their living and dining rooms were full of books, bookshelves, a desk and computer. Their prayer for a suitable location for the library was answered and they are now able to provide the first lending library having Christian materials. Remote village churches, as well as churches in the local area can now get access to Christian materials to help them grow in knowledge.